Blue Rock is essentially a brain’s trust that advise and support their clients in every aspect of business and private wealth. The community of experts think and act like entrepreneurs, always exploring opportunities to make life better for their clients. Whether it’s financing a startup, creating a lease, planning a wealth creation strategy or all of the above, the whole Blue Rock team collaborates together with their clients to achieve exceptional results. 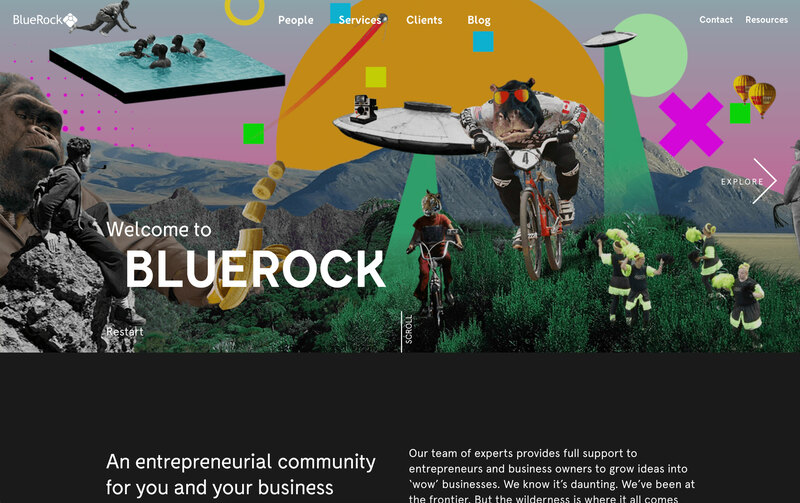 The pre-existing website was over-crowded, outdated and no longer best represented Blue Rock’s rapidly expanding business which had recently been awarded the 6th best place to work in Australia. Blue Rock had grown to employ more than 170 ‘Rockstars’ across multiple divisions, with each now requiring its own area within the website. Given Blue Rock are in a league of their own, we began not with competitor research but with inspiration collation of anything and everything that inspires Blue Rock as a business. Throughout this process, we worked closely with key stakeholders to gauge which ideas resonated most with their vision for the company. Ultimately, we came up with a completely distinct design for a Blue Rock ‘world’. 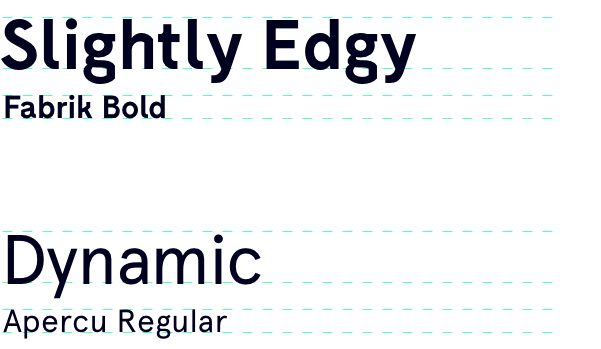 Consisting of multiple layers of custom illustrations, users are taken on a journey through a universe totally influenced by the company’s vision. 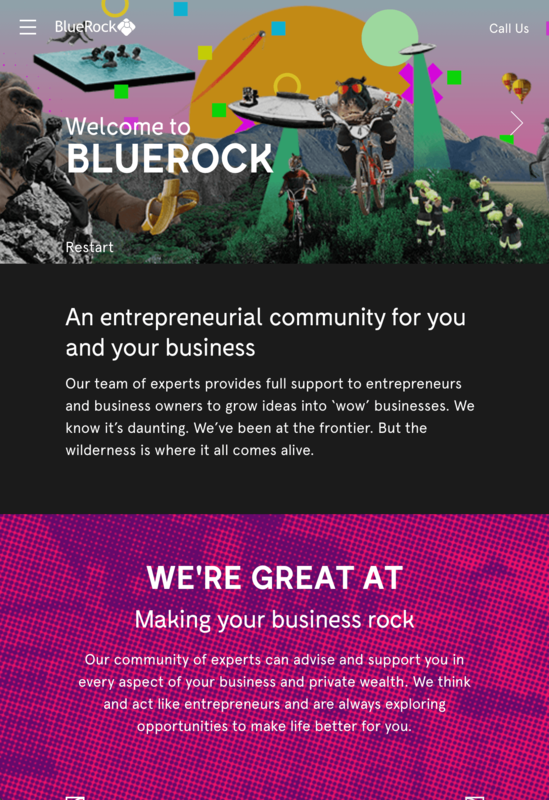 The different services of the business are represented as a custom-animated ‘wheel of fortune’, to demonstrate Blue Rock’s tightly interrelated specialisations.